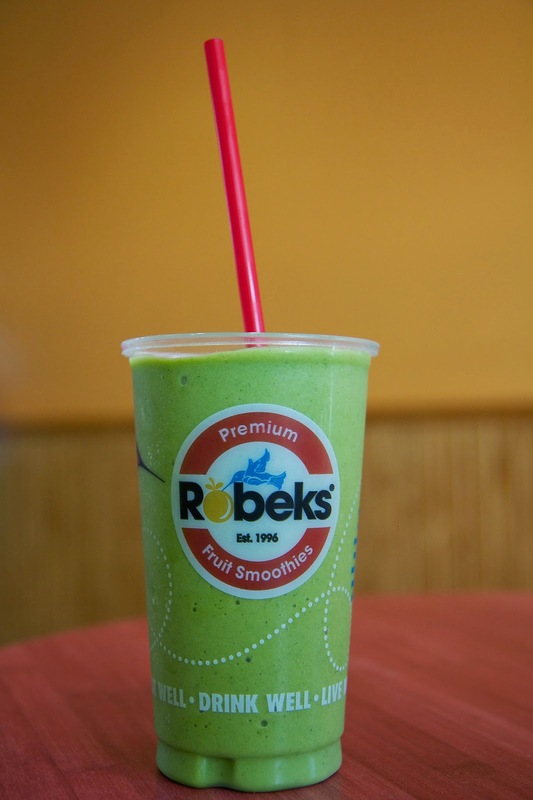 You'll recall I recently shared info about the new seasonal creations at Robeks, a fresh juice and smoothie franchise with 10 locations in Connecticut. Since they are sourcing a few ingredients locally for the seasonal specials, I decided I should drive down to southern Fairfield County and give them a taste. Renato and I met up with Katrina Bickford, the Regional Director of CT and SE NY, at the Westport location. She's been with the company for 11 years and started out as a franchise owner in Stamford. The idea behind Robeks is to be as convenient and accessible as the typical coffee and donuts franchise, but be a more healthy alternative. "Robeks is committed to offering healthy options at an affordable price," added Katrina. Robeks uses real raw veggies and frozen fruit along with sherbet and yogurt. Most of the fruit they use is Dole IQF (individually quick frozen). It's basically fruit that's picked and frozen right away, then shipped. 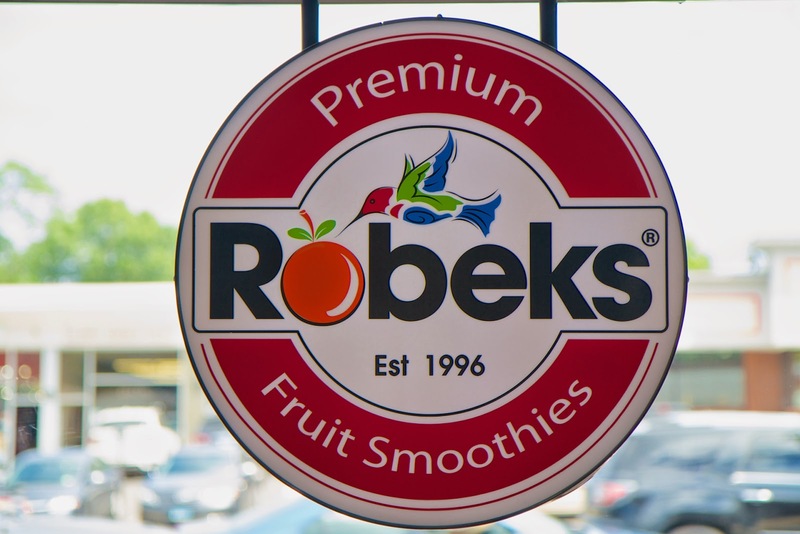 For the latest summer specials, area Robeks franchises are sourcing mint and melon from CT Fresh, Inc., a family owned and operated full line wholesale distributor of fresh produce. CT Fresh Inc. partners with growers to provide our customers with the locally grown produce. Yes there is an extensive menu of juices and smoothies, but Katrina noted that they can make things to your preferences. You want more kale, less fruit - no problem. No dairy, how about almond milk? 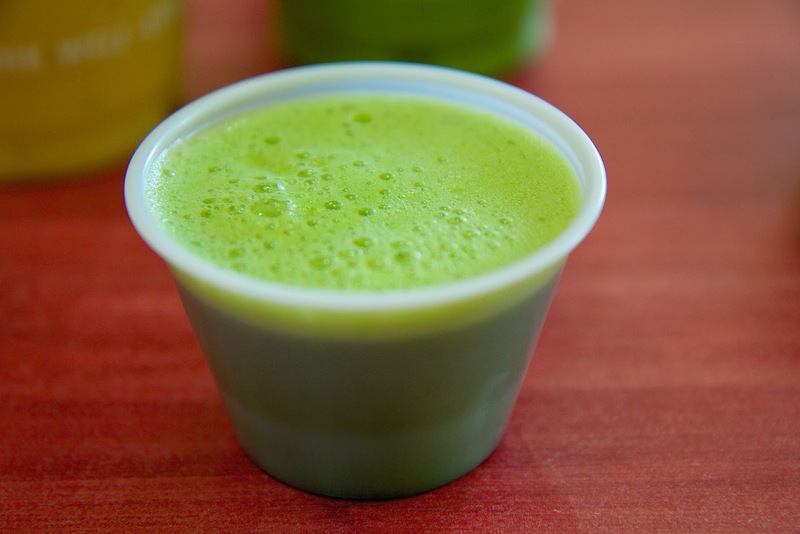 How about a shot of wheatgrass? Feel a cold coming on, how about adding the immunity booster with vitamin C, echinacea and zinc? "There's something for everyone," she said. We got the chance to sample a smattering of items. First up were smoothies. All smoothies are made with fruit, juice, sherbet and yogurt. I had the Cantaloupe Cooler featuring fresh cantaloupe and fresh mint with pineapple chunks, 100% natural orange and pineapple sherbet, and a splash of apple juice. Very refreshing. Renato had the TropiKale made with papaya juice, pineapple, fresh kale, pineapple sherbet and non-fat yogurt. The color may be green but seriously you'd never know you were eating kale from the taste of it. 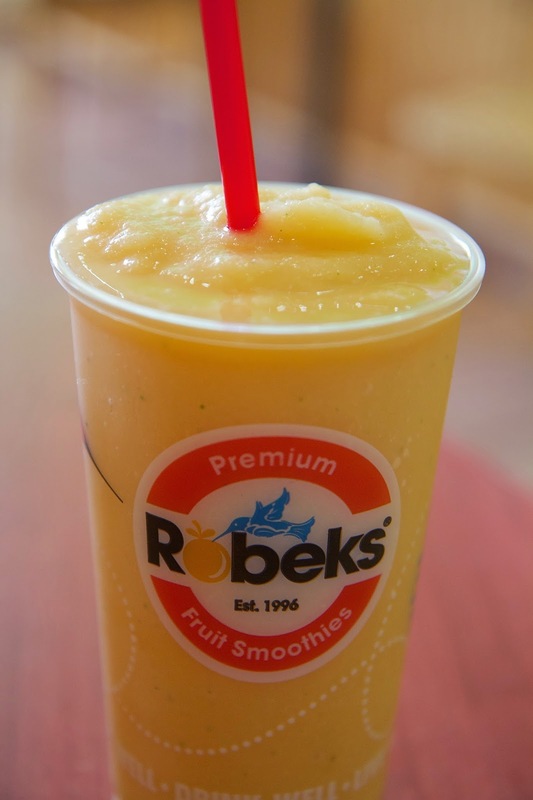 While Robeks smoothies are made with actual fruit and don't have as much sugar as other brands, I venture to say there's still added, unnecessary sugar from the sherbet. The sherbet makes the smoothies taste great and gives them a wonderful consistency, but I'm not sure how I feel about it. I think next time I'd order a smoothie without it and see if it's as good. After smoothies, it was time to try a juice. Evergreen is made with kale, cucumber, celery, spinach, apple and lemon. We're used to these flavors so for us it tasted great. You might need to work up to this one, but it was actually less earthy than we expected. Katrina said that based on customer demand Robeks has been focusing more on expanding the vegetable juice options. I think I'd actually be more likely to order a juice at Robeks. 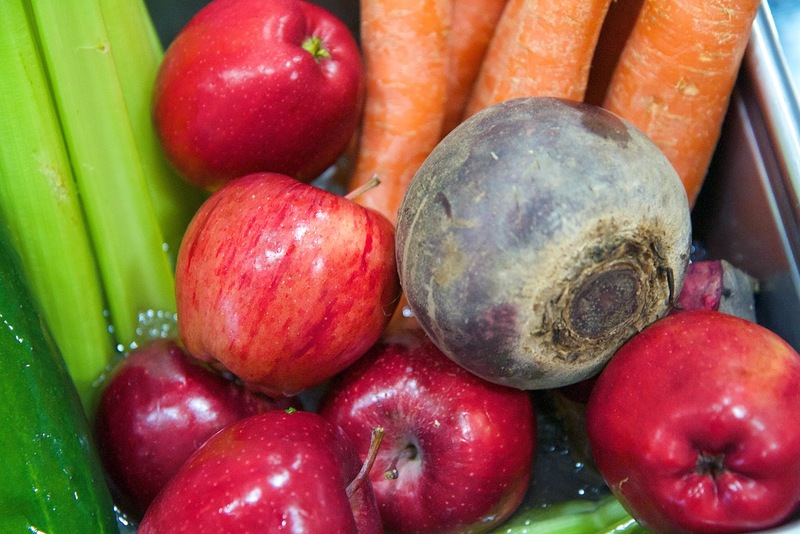 Evergreen is a classic green juice, but they have some great sounding flavor combinations like Crazy Carrot with carrot, beet, celery and cayenne pepper and G-Snap made with ginger, carrot and orange. We knew our taste test wouldn't be complete without trying a couple of "shots." First up, Wheatgrass. 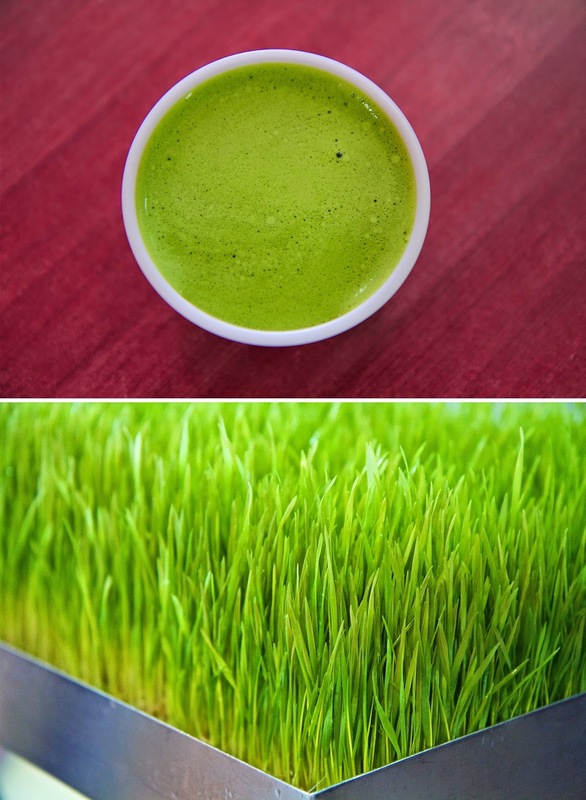 To be honest, I can take or leave wheatgrass. It's super good for you, but you know, it tastes like, well, grass. Then came Lemon Ginger with cayenne pepper flakes. Wow, this was amazing! It's a big wake-up kick. We both loved it. I love that you can actually watch them make your drink, pressing the veggies, etc. With free Wi-Fi and a casual vibe, Robeks is kind of like a fruit and vegetable version of Starbucks. Come in, grab a juice, and hang out for a bit. Or get your order and run. 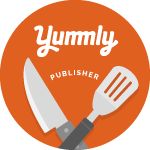 It really tastes great. Super easy way to get some extra greens into your diet! 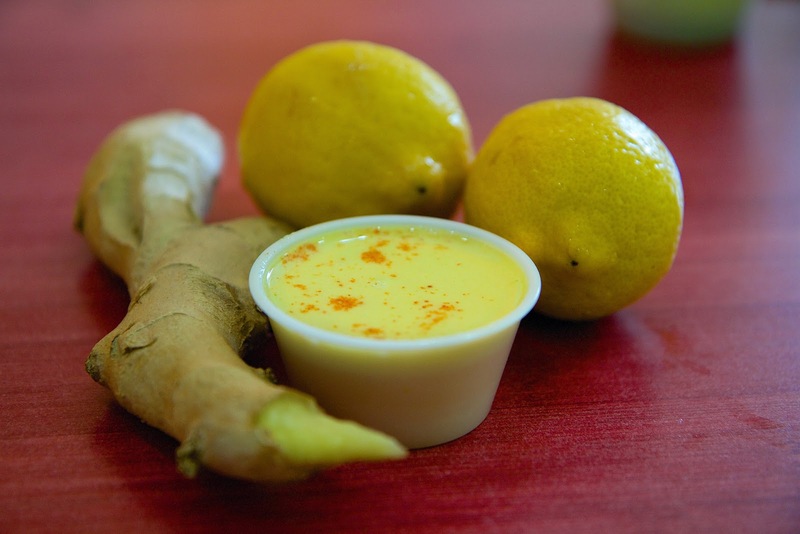 The lemon ginger sounds amazing! Just checked and there's not one in New Haven county yet. Hope to stop at the one in West Hartford next time I'm out that way. Definitely get the lemon ginger when you stop in! OK, so when is Robek's coming to CityCenter Danbury? I hear ya! That would be awesome. Cant wait for Robeks in greater Danbury! We definitely need a healthy option!